For our worldwide audience, this week's story of greatest interest will surely be our look back at the incredible amount of attention The Pine Cone received after we printed an exclusive interview with Clint Eastwood last Friday. We have an overview, and an extensive survey of the public's reaction — both pro and con ... more preview. To download the September 14, 2012, front page, please click here (1 mb). 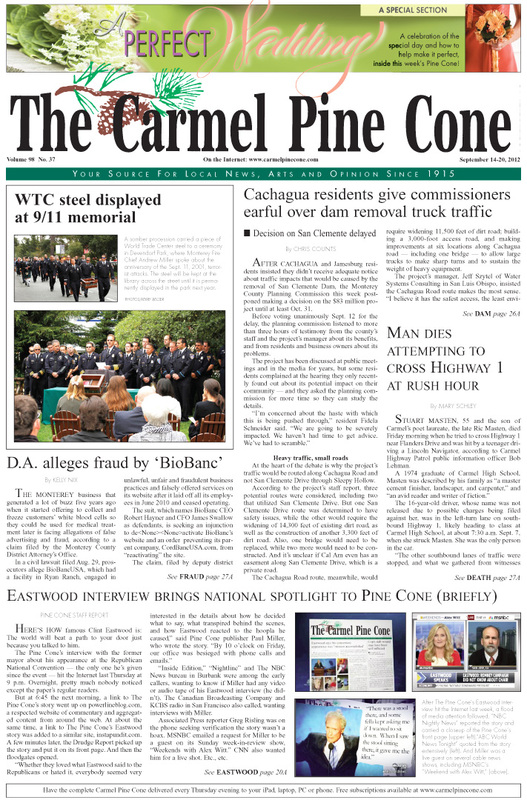 To download the September 14, 2012, Main News section, please click here (15 mb). To download the September 14, 2012, Real Estate section, please click here (12 mb).